Behind every great store is a story, and Chappy Happy has one that starts in tragedy and ends happy. Hilarie Lally DeNoon started her day as she would any other on January 24th, 2013, to work, kids to school, just another Winter day in Clinton, NY. She called her mother as she did often, and learned that her dad was not feeling well. For some reason, Hilarie felt alarmed by this. Her husband told her to leave work and go see him, knowing that Hilarie and her dad were very close. She waited until her work day was over, but it was too late. Her mother found her father in their bedroom, and he had passed away. Loosing her father was really hard on Hilarie. For months, the grief and sadness really affected her life. She was filled with anxiety. The sudden loss left her feeling uncertain about her life. One day, she decided she needed to break through her grief. She and her family were suffering. So she decided to work on bringing positivity into their lives. Only positive things on the television, doing things that made them happy. Part of that was coming to terms with her loss. She began combing through her memories of her father, and what made him happy. What made him happy was the family’s annual August trip to Martha’s Vineyard. A careful spender, he would splurge when he was on the Island. Lobster dinners with friends at North Neck, and smiles all around. Hilarie said, “Dad was happy on Chappy.” Thinking about this made her smile, and she realized that she could capture this joy and share it with others. The Chappy Happy mindset came about. In 2014, the year after her dad passed, the first Chappy Happy sticker came out. Hilarie showed the sticker to her friend, Jennifer, who owns C’est la Vie, and she loved it. She encouraged Hilarie to continue to evolve her Chappy Happy concept, and that was just what Hilarie needed — the support. With Chappy Happy, she was channeling her grief, putting her efforts into something good, something that made people happy. The original lobster logo image was soon replaced with the whale tale, we all know today as the logo for Chappy Happy. From the stickers that were popping up everywhere, came the next step in the Chappy Happy line – hats! 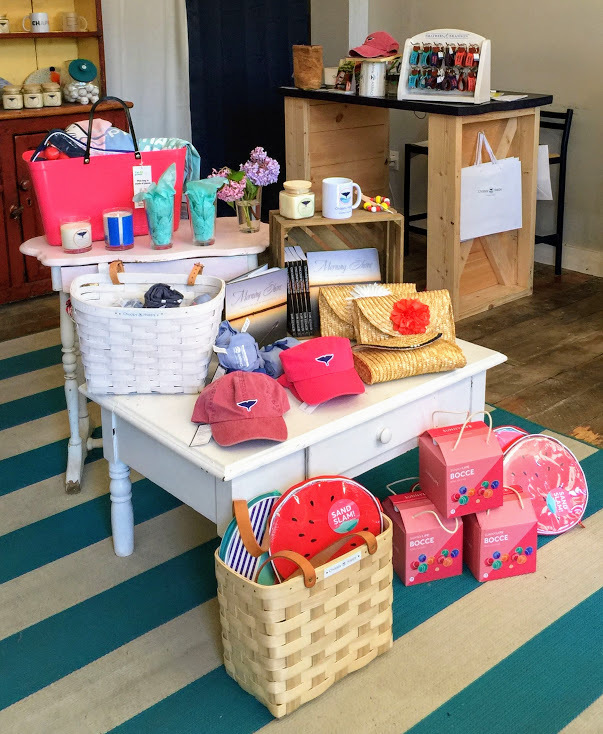 Local Edgartown businesses were happy to help sell them, and were so supportive of Hilarie. 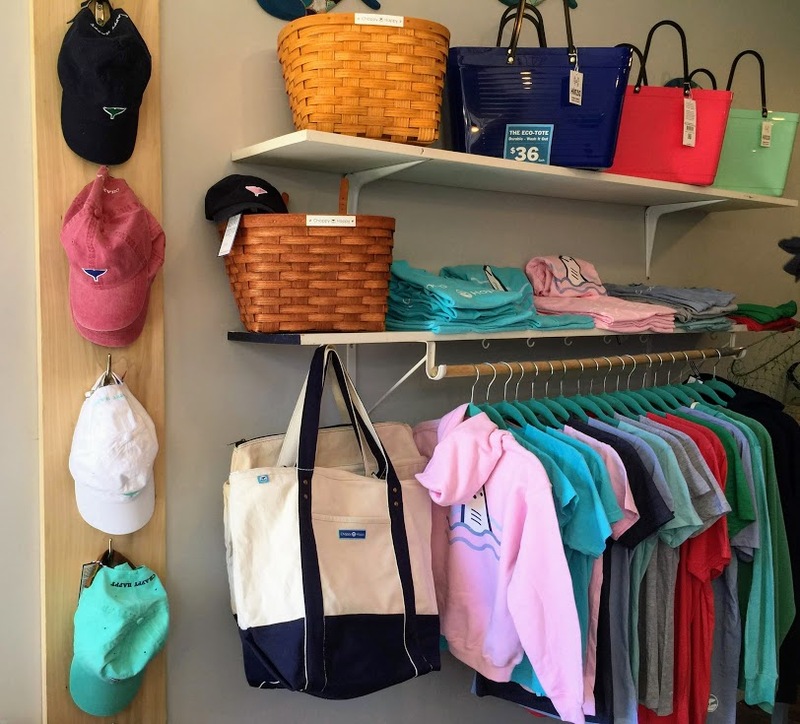 Places like Rosewater carried her picnic baskets, and Island Outfitters offered her hats and bracelets. 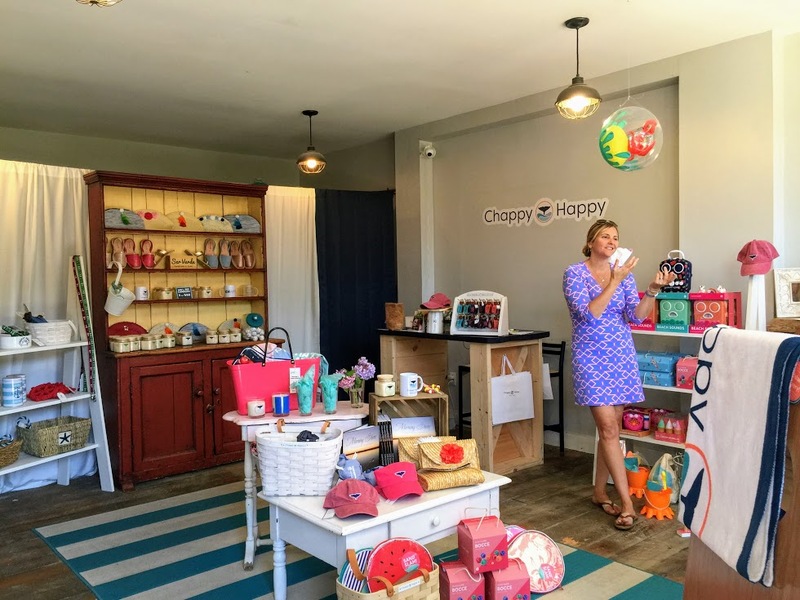 The Chappy Happy story really moved people, and Hilarie will tell you, that creating this brand saved her. Before Chappy Happy, Hilarie worked to market other people’s product. Now she works to market her own. She wrote to magazines about Chappy Happy, and her big break came in the Summer of 2015. Cape Cod Life’s Lisa Connors called her. Lisa loved the story behind the brand. 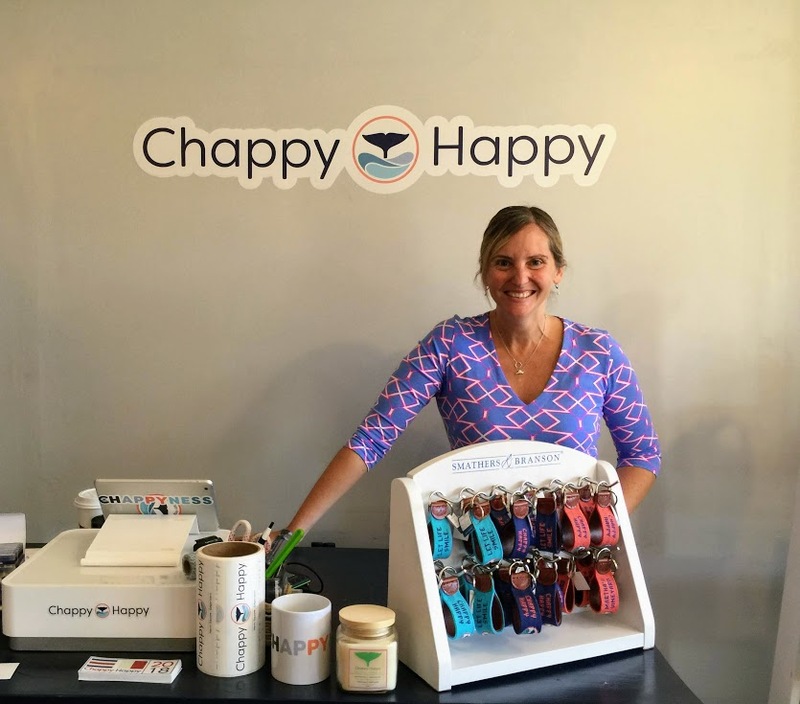 She did a feature on Chappy Happy and of course highlighted the whale tale hats. With support from all around, Hilarie continued to add to Chappy Happy. 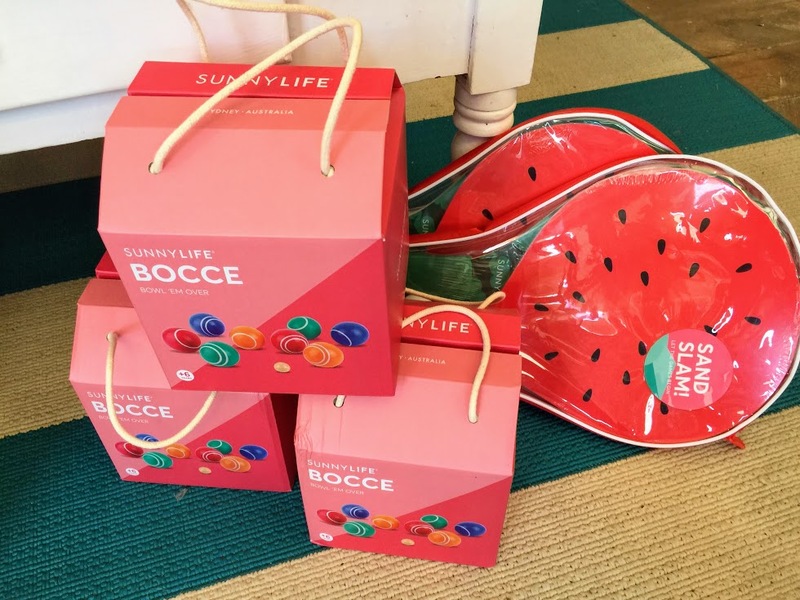 The line soon had baskets, bracelets, and more. 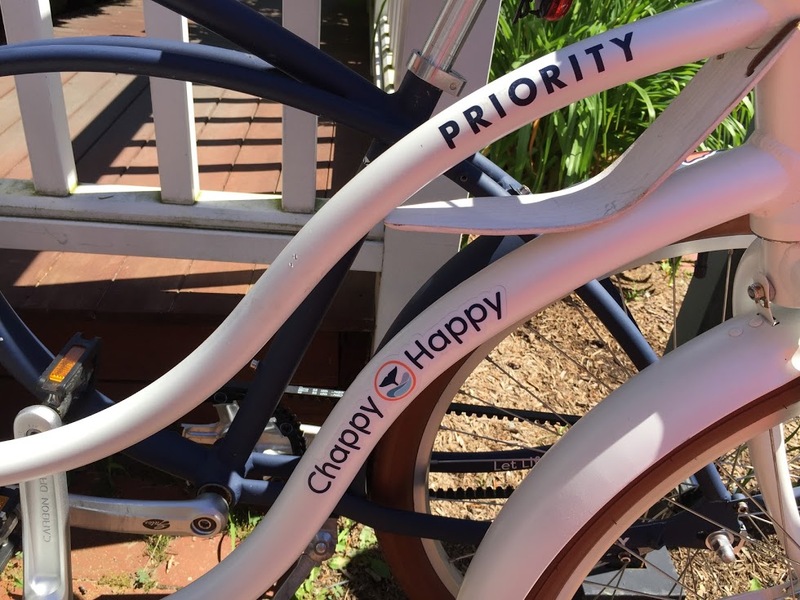 Lifestyle blogger Sarah Vickers wrote about Chappy Happy and featured their bikes. Sarah has a huge following and is a style influencer in New England. Now Chappy Happy bikes were a must to have like the hats were. Hilarie could not believe her good fortune. Hilarie continued to grow Chappy Happy, and one day something big happened. Throughout this journey, Hilarie was coveting a feature in Coastal Living, a magazine she loves. It happened. 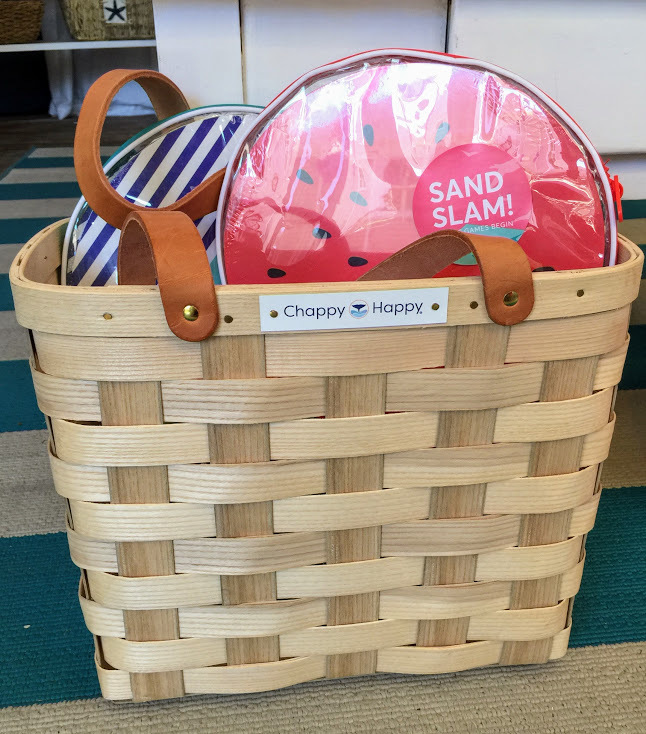 Chappy Happy was featured as a “Brand to Watch” on Martha’s Vineyard. From tragedy to an incredible journey of creating, self discovery, friendship, and a brand that honors her father, and her love for him. 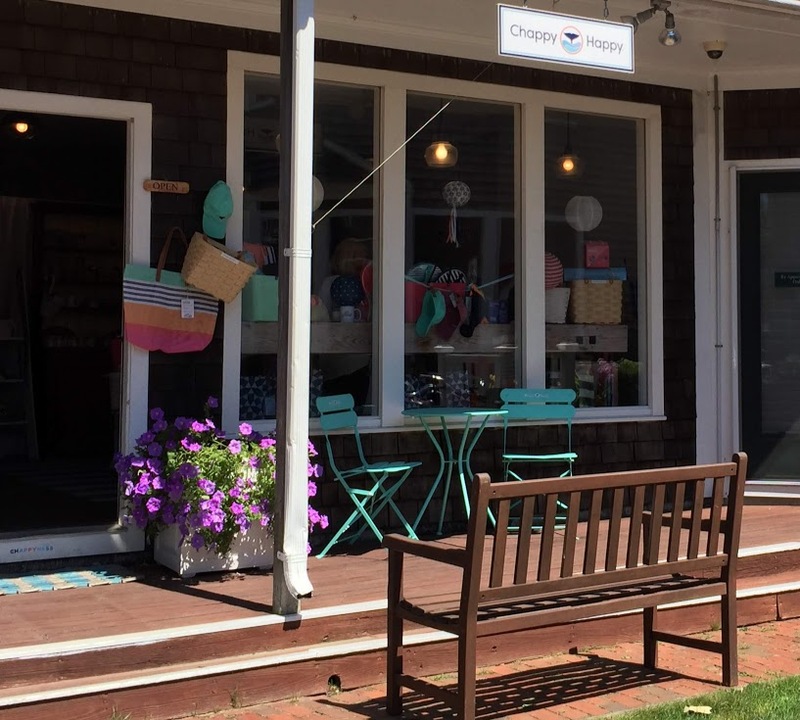 Chappy Happy is located in Nevin Square in Edgartown, one of our Point B Realty neighbors. 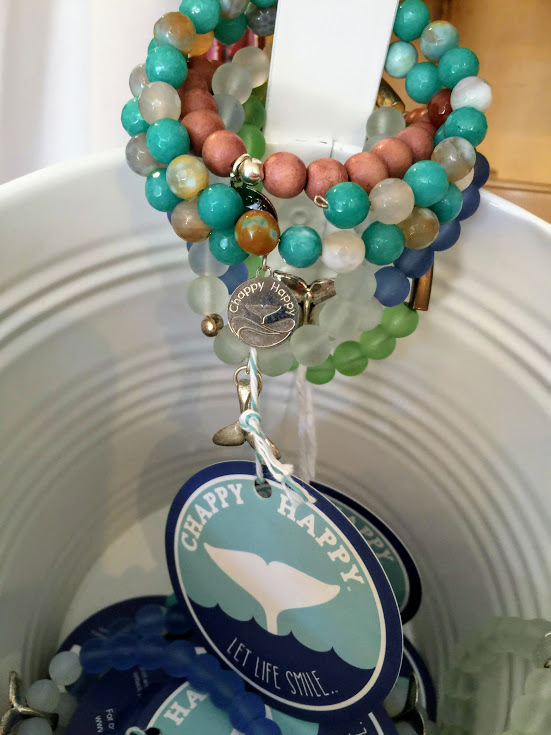 When you enter Hilarie’s shop, you can’t help but feel lighter, a little brighter. Everything has been carefully chosen to bring happiness into your life. From the t-shirts, to the jewelry, to the beach accessories. It is such a pleasure to visit. 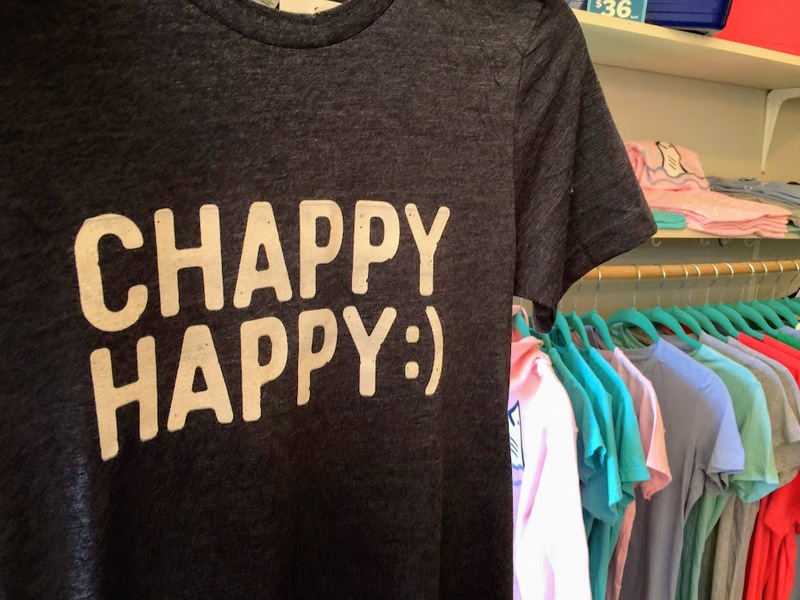 You can’t help but get in the Chappy Happy mindset. Thanks for reading On Point MV. You can also learn more about Chappy Happy on Facebook. Don’t forget to “Like” us on Facebook, and follow us on Twitter, Linked In, Google+, Pinterest, Youtubeand Instagram.